GNIPL offers three types of air knife with different structure. With Special Air Knife design, upto total 40g/sqm (Double surface) coating weight can be achieved . Basic structure similar to Kohler type Air Knife. 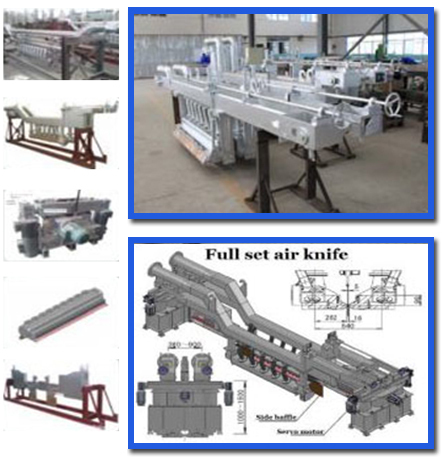 Advance structure with Multi-joint air injection similar to FOEN/DUMA type Air Knife. Maker design advance structure with double-joint air injection.